Values are what drive everyman, but there are two types of value. Real and ascribed value. Ascribe value is the value we give something, the real value is the value it has. God has both and so do you. this book right here at 30 virtues that build a man. I'm hoping you'll pick up a copy of this book and Be Resolute Dot Org forward slash 30. That's thirty. You can find a copy of therefore you or any other guy you want to have a discussion with. Great mentoring, conversational guide for you today. We're looking at the topic of values. I'm joined by Dr. Greg Borgound. Thanks for being with us today, man. We're excited to have you. A, I can't tell you. I think this, this topic of values is very important, but let me ask you a lighthearted question today. Uh, so you probably keep some things in your car that are important to you, I would assume that are important to you, right? You've got a little jar and there or a little container or a little compartment with some extra junk in it. Maybe you got that. Okay, so I got that too. Now every time I opened it up, I look at a few products that I keep in there that are very valuable to me. Okay. So just kind of staying with this topic, uh, what. Tell me what one of those little products that you keep in your car is that you think is most valuable? That every man should have in his car? Cable for my iPad or my, my phone so that I can plug it in and charge it all the time. So that's the cable, the cable. So you've got the cable. So that is, that is a popular item in the car. And now tell you every once in a while one of my family members takes my things out of my car. It's so agitating. You know, you value something when someone steals it out of your car, right? Yeah. So these little thief's I actually mark them now I get special colors and I get colors done, isn't I get colors that no one else has because I value them. So when they steal them, I know that I can walk in the house and North. That cable's been moved. Yeah, there you go. Yeah, I do this all the time. I get off going like crazy colors, so I got blue and I don't get black or white at all anymore because everybody's got the black or white. So I get other colors. Okay. Let me tell you one product that I keep my car all the time, but I think every man should keep it a scar. It was. Okay. So I keep a cheap Bic razor in my car. Do you know why I do that? values are the hills you're prepared to die on, the principles you intend to live by there, the filter through which you process every decision of any consequence you make. And so every decision that you make as a man is taken through a filter of your values. Whether you can articulate or describe them or not, they're still in play in your soul. So that's why, again, sometimes you make decisions that are honorable and other times you make decisions that are not honorable because there's nothing ordering those values, right? Your values compel you to act. Okay? So, so I think most guys are not cognizant of the values that they hold. That's right. You agree with that? So. So you encounter this every once in a while with another guy. Oh sure. I mean, you know, in, in, in our Western society, maybe it's because we're so verbose and everything that we do, we're able to articulate a value system that bears little correlation with how we behave. So you're saying, we say we have values, but we don't really behave that way. we'll move from like that aspirational aspect to it. oh, okay, so there you go. You're talking about how it's making a leap. These values that sometimes are aspirational or sometimes that we're not cognizant of can be formed and shaped into behaviors that then become a virtue. An outpouring. Yeah. They become part of your spiritual DNA and you act on them without even thinking and sometimes people will say, well, why did you do what you do? There seems to be a consistency to how you respond and given situation like this and sometimes you have to think, well, that's because I value responsibility or I value truth or whatever it is. I value it, but even more important than just being able to stipulate or articulate or verbalize a value that you might hold or that you aspire to is again deciding what's going to inform it and so when you take the next step of saying, okay, what's going to help me frame what I mean by let's say a commitment to truth will be the passage in scripture that says you will know the truth and the truth will set you free or the passage and scripture that says that Jesus is the way, the truth and the life. Because whatever you use to frame that value will determine the quality of behavior will produce. So for us, who are followers of Jesus Christ, it's not just enough to go ahead and say, I value this. I intend to act on that, but to be able to answer the question, what's informing conditioning and influencing that value for me? What's shaping it? I won't pick up. The first book I wrote a on this particular subject was called the rattling of Sabers, preparing your heart for life's battles. And in it because of the researcher I had done studying the scriptures that had anything to do with a heart, I recognize there was a relationship between what I understood to be the components of the heart. You know that was derived from this research side, right? And here's simply what it is, and you'll see where values play a role in your central beliefs. Establish your values, your values, and form your worldview, your perceptions about how you make sense of life. Your worldview conditioned your motives, your motives energize your behavior. So behavior reflects the health of your heart. Values based on God's word or biblical beliefs will give you worldview that helps you understand God's operations in the world and how to interpret the world events around you and the proper motivation to engage. So values are critical. It's not as linear as I just said, it's more like an evil system. Everything moves, right? Values is very central to it, but every value somebody says they hold, whether it's a teacher or, or it's a politician or whatever it is, um, it has an underlying belief system that gives it support. And oftentimes we don't ask the deeper question. What is that underlying belief system that you say validates the value? Hope is this conflict, right? I'm there. Now you're holding them to a high level of accountability. Because the things that they say or aspire to be are not actually moments. No. And it wasn't done to embarrass them. It was to help illustrate the point. It may be a valid aspiration, but it still isn't a commitment as we just discussed. Right? And so until they intend to act on it, until they can demonstrably indicate actions that they've taken or decisions they made that underscore the value they say they hold. It's not a value yet. Yeah, I know. I hear Isaiah 29. 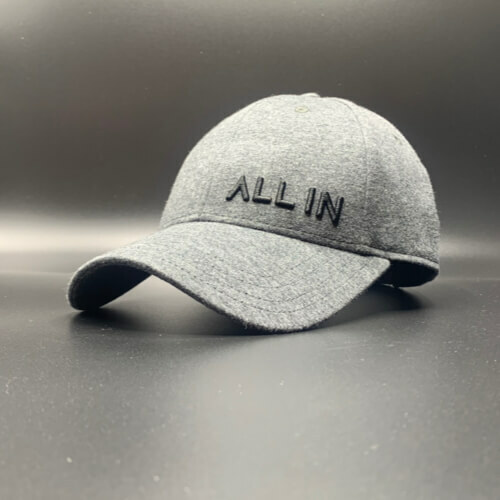 All right. Love this. Isaiah 29, 13 through 15 , the Lord said, because this people draw near with their mouth and honor me with their lips, while their hearts are far from me and their fear of me is a commandment taught by men. Therefore, behold I will again do wonderful things with these people. Now it's interesting to use such a positive word there. I will do wonderful things with this. People with wonder upon wonder and the wisdom of the wise men shall perish and discernment of the discerning man shall be hidden. I think that's really interesting. Right? So we already talked about the income grew out of between behaviors and what we say we value. So their hearts are far from me. What the Lord is saying, what they truly value at the core of their being doesn't correlate at all with what they say they, they believe or how they're acting in on behalf of me. brody of those. Okay. So let me ask you this as we start to wind down a little bit here. I, I, I'm, I'm thinking what does it look like for a man with values that are not aspirational values? What does it look like for a man to live by the values that he espouses? He'll be recognized as a man of integrity and authenticity. Integrity is doing the same things in the dark as you do in the light. And authenticity is doing those same things all the time. Yeah. So, um, you know, in scripture talks and Hebrews about Christ and then it, it, it, it's actually talking about leadership and then it says there's one characteristic it indicates that's necessary for godly leadership and that's consistency. So the idea is to be consistent day in and day out. 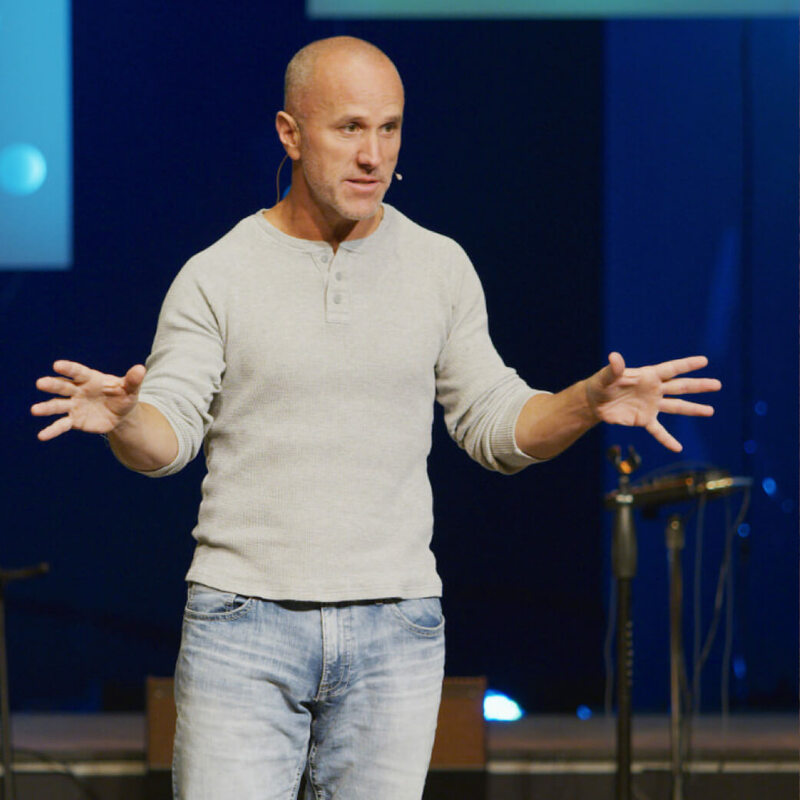 When you live, you're a valued, centered life that's biblically informed. The direct result will be congruent, consistency and coherence and what you say, what you think and what you do. I love that. And, and I will say I've met a few people like that in my lifetime, Greg, that just have. I mean, when you watch them and you hear them exactly, there's just no, there's no mistake. Talk about the fact that they're living a value-centered life because of that congruent consistency and coherence in their life. that their behavior could be consistent, can grewal and coherent in alignment with the evil that is within them? And, and I think the answer to that question would be yes. So what's the difference between an evil person who's living a consistent can grow in and coherent life and a godly person? Well, it, it's based simply on what's informing that consistency, that godliness, um, what's informing and conditioning those values would determine the quality of behavior at purdue. oh, who are capable of the great evil of great negative influence in the world around them, in their sphere of influence are those evil persons who are consistent, coherent and congruent with what they believe that gives life to the evil they produce. So it makes a difference. What informs those values and what conditions and what influenced it works is what you're saying, right? It works, it works. And we can see it work in both cases, in both instances. One very self-centered and unfortunately one very not where fortunately one very not. Well, this is awesome man. I think, I think guys if we could capture this moment right here and live by it, not just a spouse, our values, but live by them, be able to articulate them, behave in a manner that focuses on being a person of value, right? Kinda like I value that big shaver in my car so I don't embarrass myself, you know, or I value my chords in my car when they're missing, right? Uh, but even more the values that we espouse in life, then we're on our way to being a better man. serious. Look at the book of proverbs about of the values that the greater values. Right? So guys, thanks for being with us today. 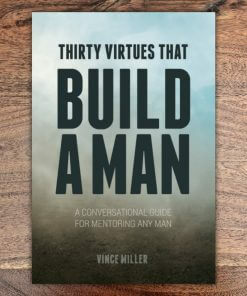 I hope you pick up a copy of 30 virtues that build a man. Uh, thanks Greg so much. I love chatting with you and I know the guys are getting a lot out of it, so thank you guys. We'll see you right back here next time for another edition.